The Roman occupation of Egypt, while ostensibly a continuation of the Greek, differed markedly from it. While a common recollection of hostility towards the Persians and a long history of commercial relations bound Egyptians and Greeks together, no such affinity existed between Egyptians and Romans. Alexander the Great had come to Egypt without striking a blow. Roman troops had pitched battles with Egyptians almost immediately. The Ptolemaic kings had lived in Egypt; the Roman emperors governed from Rome, and their prefects took over the position formerly held in the scheme of government by the Ptolemaic kings. To the Egyptians, therefore, the prefect and not the emperor, who resided in far-off Rome, was the royal personage. There was also a drastic change in the climate of leadership. For the Ptolemies had respected the Egyptians and had made friendly gestures, such as bringing back to Egypt some of the sacred objects carried off by the Persians after a military campaign in Asia. The Romans, on the other hand, controlled Egypt by force. 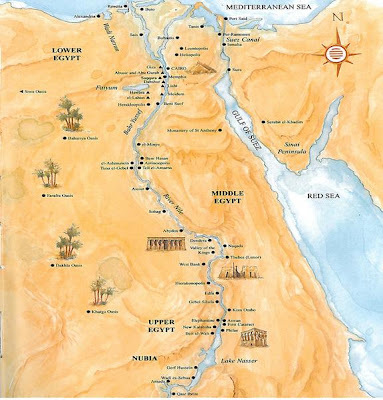 They stationed garrisons at Alexandria, which remained capital, Babylon (Old Cairo), which was the key to communications with Lower Egypt; and Syene (Aswan), which, as in the Old Kingdom, became the southern boundary of Egypt. There was no immediate change in the internal organisation of the country. The Ptolemies had proved that, by reason of its isolated position and internal wealth, Egypt was both a natural and a convenient unit for administration. And the Romans were quick to recognise the benefits of interfering, at first, as little as possible with the existing system. The nomes remained the same and the nomarchs collected the taxes. However, there slowly evolved a highly complicated structure of sub-divisions into towns and villages, where hordes of officials kept tax records in a system of controls, checks and counter-checks. This was established to fulfill Egypt’s required contribution to the Roman treasury every year; the amount was decided by the emperor, and his prefect carried out his orders. 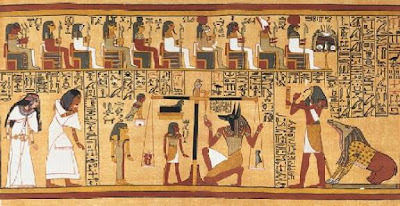 The Egyptians had no say in the management of their affairs, and there does not seem to have been any concern for their welfare. Temple lands were annexed and placed under the control of the government. The local priests were allotted only a small part of their sacred property. Their material wealth was curbed by a chief financier - a Roman official acting as high priest who resided in Alexandria. Meanwhile Alexandria, the one-time peaceful capital and seat of learning, became a turbulent city. Recognising it as a potential trouble area, Roman garrisons were strengthened. The city was deprived of its senate, thus curtailing its political privileges. Egyptian script fell into disuse while Greek was increasingly used. A keen interest in Egypt and all things Egyptian had developed in Rome long before the conquest. The cults of Isis and Serapis had already made their way across the Mediterranean. All the paraphernalia of their cults were known and had become very popular. Hadrian commissioned a Nilotic landscape for his palace in Tivoli, just outside Rome, and no less than thirteen obelisks were transported to Rome. 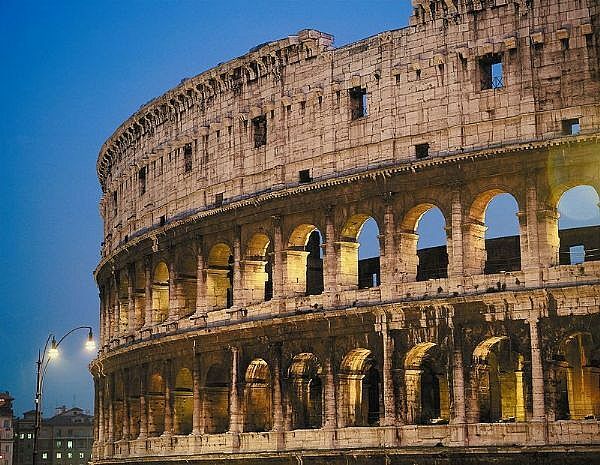 While the Romans indulged their passion for revelry, luxury and entertainment, the Egyptians, pressed by the demands of the treasury, were bent to the land unable to meet the increasing taxes. There was undoubtedly a certain hypocrisy in the Egyptian artists who eulogised a Roman emperor with the attributes of the Egyptian pharaoh, when there is no evidence that the emperors were even respected, let alone worshipped as gods in Egypt. There is practically no trace of Roman deities in Egypt, and the few inscriptions of gods, such as Jupiter and Juno, were written as Latin equivalents of Egyptian gods. It was during the Roman period, especially during the terrible persecutions of Diocletian (AD 284-305), that thousands of Egyptians sought refuge in the deserts and founded the monastic way of life (chapter 8). When the emperor Septimius Severus came to Egypt early in the third century, the complicated control system was in danger of breaking down. Efforts at reorganisation could not turn the tide. The economic situation had so drastically deteriorated by the steady drain on the country’s resources that it took extreme reforms to reorganise the government of Egypt. Constantine the Great (AD 324-337), the first Christian emperor, subdivided Egypt into six provinces under the Bishop of Alexandria. Conditions temporarily improved. Unfortunately, schisms appeared in the Christian church, which led to riot and disorder in Alexandria. The controversy, which was subsequently the main topic of discussion at the Council of Nicaea in AD 325, concerned interpretation of doctrine on the nature of Christ: whether He was begotten by God before all time, and was godlike; or whether Father and Son were of the same nature. Under the Emperor Theodosius (d. AD 395), Christianity was declared to be the offical religion of Egypt. The Roman empire was transformed and Egypt became a part of the eastern Rome or Byzantine Empire. ‘Paganism’ was suppressed. Ancient monuments were systematically destroyed, tombs were ravished and walls were plastered to hide the reliefs of the ancient gods.